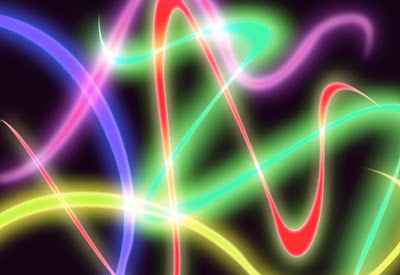 Bedazzles After Dark: Currently Inspired By: Neon Color! 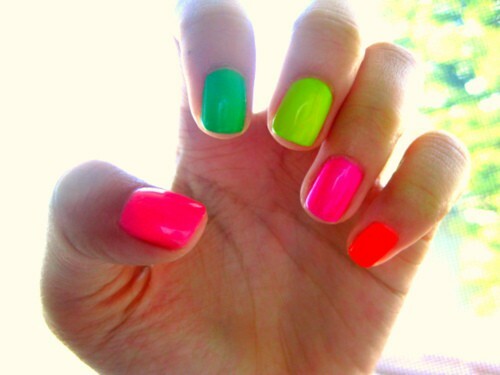 Currently Inspired By: Neon Color! Bright neon colors aren't just for cheesy bar signs or 80's nostalgia parties anymore. Riding hot on the coattails of last Spring's color trend (here & here), this season we're seeing a much bolder version of these shades. Everything from beauty products, to clothing to jewelry (even hair color) are being drenched in these fun hues. If you follow me on Facebook or Pinterest you know how much I am obsessing over neon right now - especially since I'm such a color lover! And I plan on taking every opportunity to rock this look while it's still in. Although it's a very fine line between tasteful and overkill with neon, I've picked out some photo inspiration for incorporating it into your wardrobe. Have fun lovelies!! Get on the neon denim train while you can! There are plenty of on-trend stores that carry bright colors for even better prices. Try Forever 21, Target (yes Target! ), Zara and H&M. I would recommend a white tee and blazer or if you're feeling adventuresome - color block! I've been looking for a fabulous neon statement necklace to go with my basic white tee and jean cutoffs for summertime. Someone suggested a DIY with neon nail polish and old costume jewelry - how smart!! 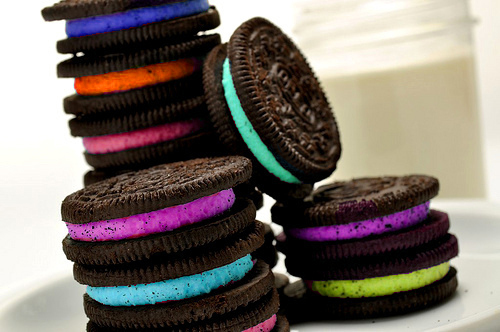 Neon Oreos!! So pretty to look at & Yummy to eat!